There is a screenshot I keep on the desktop of my computer. Every once in a while, I open it and get tears in my eyes. I look at that screenshot and remember the day, feeling the emotion all over my body, not just in my mind or heart. It is in the tightness of my stomach, in the thinness of my breath, in the tingling of my fingers, in the sudden burning in my legs, the urge to run away. 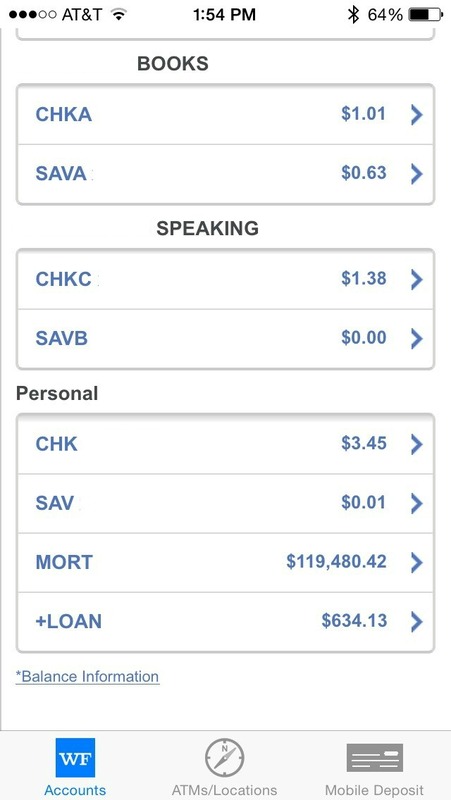 On this day in 2015, I had $6.48 in the bank. I owed $120,121.03 to the bank. And I had another credit card at $12,000. And I had a car loan at $10,000. And a student loan at $68,000. Why is 40 such a critical age marker? In America, we make a lot of dangerous inner vows, saying that we will earn or save a certain amount of money by the time we are 40. Nobody ever said we were supposed to do all the most important stuff by the time we are 40, but that is the lie we live by. We almost swear outright that we will accomplish, see, do, have, be something by that moment. The problem with an inner vow is that if you don’t or can’t do it, you feel you are doomed. Worthless from here on out. And, unfortunately, the nature of an inner vow is that if you have sworn something in your heart, you have guaranteed the opposite outcome, sealing something into your future unless you undo the vow you have made. Long ago, I swore that a publisher would publish my book by the time I was 40, which did not happen. I self-published my first book when I was 37, which didn’t count to me because I had made the dangerous inner vow. I mentally dismantled the accomplishment of completing a 75,000 word manuscript and seeing it through to print and sales because it did not meet my definition of success. I never asked God what He wanted my definition of success to be. There I was at 41, sitting like a failure in the puddle of my self-shame. I was holding a self-published book that wasn’t returning my investment, staring at crushing debt, and crying over my whopping $6.48. I had passed that 40 mile marker with nothing but a hole. What do you do when you are in a hole? He went on to tell me that he worked in a physical job, with oil wells or construction, I can’t remember which, and he and his crew were responsible for digging deep holes. He often looked at them and was overcome with fear, wondering what he would do if he accidentally fell into one of them. Somehow, imagining what he would do set him free from the fear of an accident. And his plan to get out of a deep hole in the ground was not much different from what I did to get out of the financial and career hole I was in three years ago. I got very still and calm. I stopped scraping and clawing, trying to come up with ideas to get myself out. The room — my heart — was silent. I asked again the next day. It was silent. I prayed and read the Bible and waited. It was silent. This is the point that most of us give up. But I couldn’t give up. I was in a hole, and a hole is a grave. I needed to get out. Then one day, God spoke into my heart one significant step to take. He didn’t tell me what to do for the next year. He didn’t tell me where we were going. He just told me one thing to do. I focused all of my energies on doing that one thing. And when I finished it, I asked Him what to do next. He told me what to do. I did it. Then what? I asked again. He told me again. I did it again. Over and over, this was the pattern. There were times when the act of obedience was easy. Most of the time, it was hard. Some of the time, people resisted me, questioned me, looked at me like I was crazy. But now my life looks very different than it did. None of those numbers are the same. None of them. The main one that is not the same is my age. This month, I turn 44. And I am happier than I have ever been. I have thrown away that old inner vow about age and expectations. I look in the mirror at a free woman who knows who she is. I have more confidence, more faith, more close friends, more books I’ve written, more savings, and a lot less debt. Soon, it will be none. Here is what I have learned: With God, a deep hole can be turned into a deep well. What Satan intends for your harm can be transformed into your good (Genesis 50:20). If you are hurting about where you are at a certain age, then my guess is that you have made an inner vow about your life that God never sanctioned. It could be that what YOU intended to happen by now is not what HE intended to happen by now. Your words have dug a grave for you. You are going to have to get still to get out. There is no other way. Ask God what tiny step to take first. Listen until He tells you. Let go of those old ideas of your future and open your heart to what God has for you. Your life is not over. Forty (or any age) doesn’t look like it use to. Seventy is the new 60. Sixty is the new 50. Fifty is the new 40. 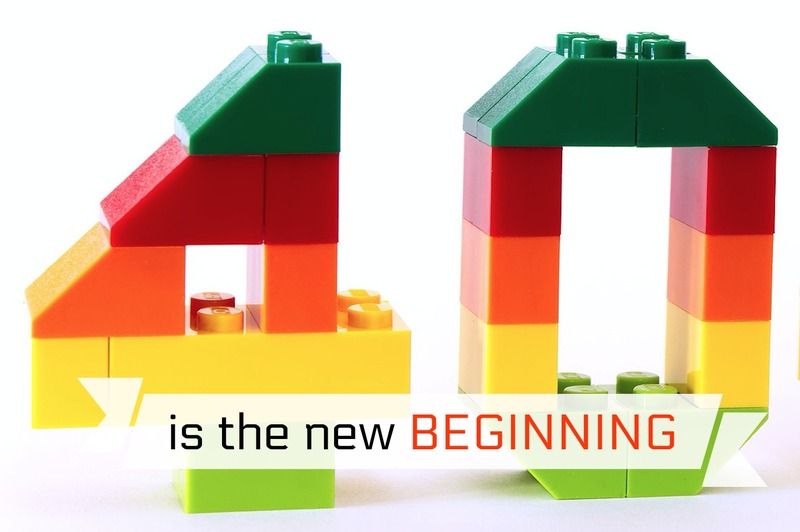 And 40 is the new beginning.